Why are you whoring yourself? You once had a modicum of credibility. Are you now in the Click Bait Ranching business? Private sector employment…..of the net gains since Jan.2001, what percentage came under the Socialist? A very poor analysis. comparing two years against 8?? Lets try economics 101 . Firstly a recovery when you have a financial crisis is always slower (See Reinhart and Rheinhart.) you also had credit markets freeze and a housing bubble burst. Secondly the transmission channel of lower interest rates is housing! 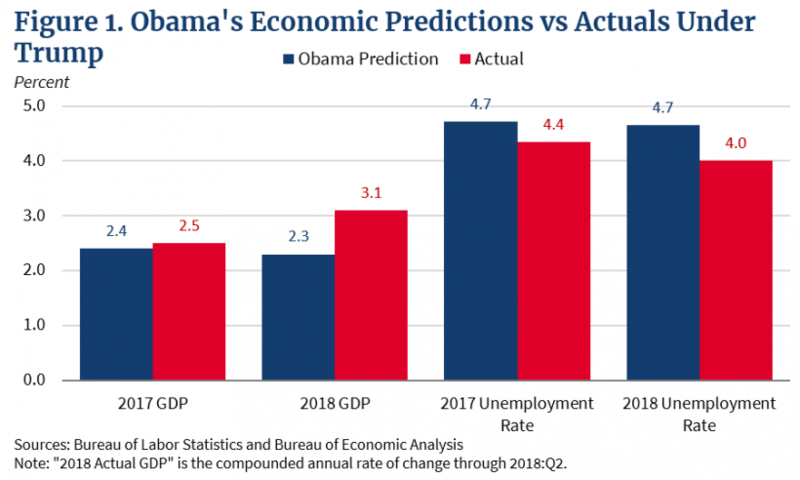 Thirdly the stimulus was way too small and Obama clearly tightened fiscal policy way too soon. Fourthly has there been a structural break in any economic variables since Trump took office? No! ( the second chart is meaningless because of this. Trump has increased the structural deficit to some 6% which is very strange in an economy close to full employment. moreover the fiscal stimulus is front loaded thus economic growth will drop away after it dissipates. 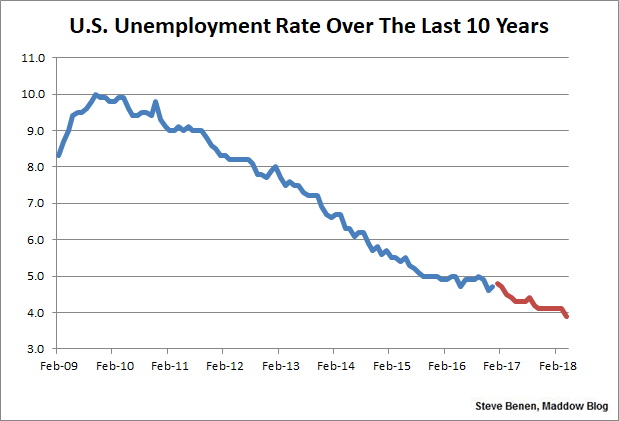 Should of included the interest rates that stayed zero during Obama’s admin and have consistently risen under Trump. If the Fed had held off on raising the interest rates or even been even more conservative about increasing the rates the boom would of had significantly greater impact. – peddiebill this has been a problem for the last 80ish years……the last 20 years we have been doubling our debt every few years….. Reversing this will need to be a concerted effort neither side seems to be willing to make any real effort to change…..
Well then how come the personal debt for each US citizen is steadily rising? Look at the US Debt clock. If I ran my household like that it would be disaster a bit down the track.